Lilyturf, also referred to as simply liriope, is a tough-as-nails groundcover that can be grown in low-maintenance landscape areas. Its striking striped foliage makes this variety a standout in shady spots. Pair with dark green-leafed perennials for strong foliage contrast. Foliage is evergreen in areas where it is winter hardy. The foliage is complimented by spikes of lavender flowers that persist through fall. 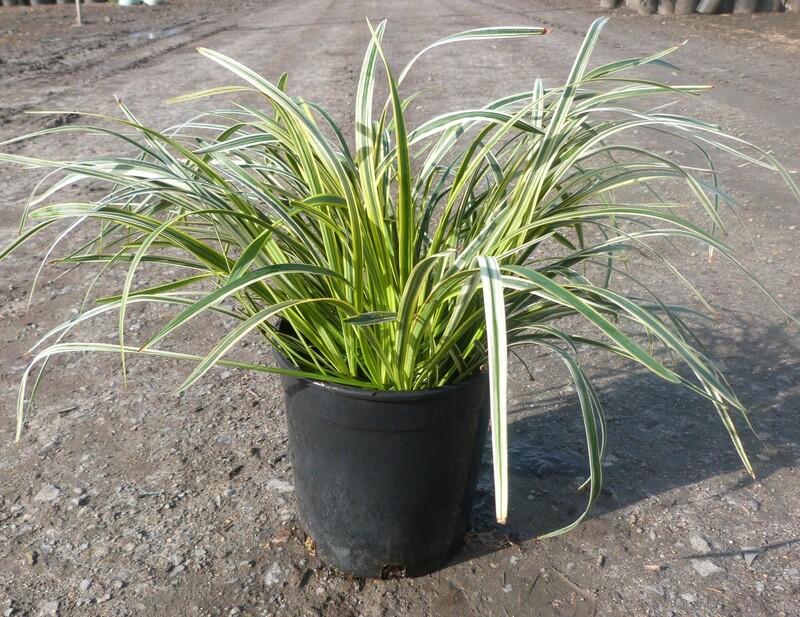 Silver Sunproof liriope is very easy to grow and is adapted to many soils and growing conditions. Plants are heat tolerant and can be grown in shade or part-sun. Because of its variegated foliage, plants will look their best with some afternoon shade in hot climates. Plant as a bed edging or as a mass groundcover planting. You can even use liriope as a container accent plant. While plants aren’t bothered much by pests or diseases, they are susceptible to liriope root rot if soils are soggy or over-watered. Deer resistant.